Israel Philharmonic Orchestra celebrates Zubin Mehta’s 80th birthday. Mehta is the Music Director for Life of the Israel Philharmonic Orchestra. 1st day: Khatia Buniatishvili performs Tchaikovsky’s Piano Concerto No. 1 and Vladimir Horowitz version of the Hungarian Rhapsody No. 2 in C-sharp minor, S.244/2, the second in a set of 19 Hungarian Rhapsodies by composer Franz Liszt. 2nd day: Gustav Mahler’s Symphony No. 1 in D major, also known as “The Titan”. Accompanied by the Israel Philharmonic Orchestra, Georgian classical pianist Khatia Buniatishvili performs Pyotr Ilyich Tchaikovsky’s Piano Concerto No. 1 in B-flat minor, Op. 23. Then, Franz Liszt – Hungarian Rhapsody No. 2 in C-sharp minor, S.244/2, Horowitz version. 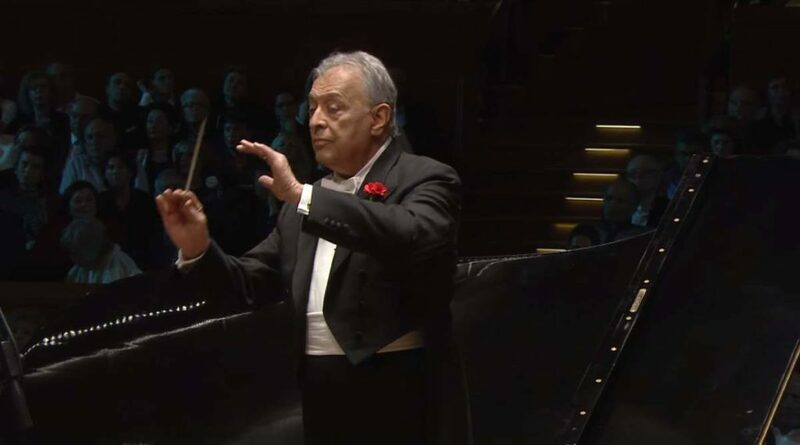 Conductor: Zubin Mehta. Hungarian Rhapsody No. 2 in C-sharp minor, S.244/2, is the second in a set of 19 Hungarian Rhapsodies by composer Franz Liszt, and is by far the most famous of the set. Other pianists have arranged their own versions of the Rhapsody with changes beyond that of simply adding a cadenza, most notably Vladimir Horowitz in 1953. Conducted by Zubin Mehta, the Israel Philharmonic Orchestra performs Gustav Mahler’s Symphony No. 1 in D major, also known as “The Titan”. Zubin Mehta (born 29 April 1936) is an Indian conductor of Western classical music. HThe Israel Philharmonic Orchestra (IPO) appointed Mehta its Music Advisor in 1969, Music Director in 1977, and made him its Music Director for Life in 1981. He is also the Main Conductor for Valencia’s opera house. Mehta is also the chief conductor of Maggio Musicale Fiorentino festival. Mehta’s name is mentioned in the song Billy the Mountain on the 1972 album Just Another Band from L.A. by Frank Zappa and The Mothers of Invention. At the Israel Prize ceremony in 1991, Mehta was awarded a special prize in recognition of his unique devotion to Israel and to the Israel Philharmonic Orchestra. In 1995, Laureate of the Wolf Prize in Arts. In 1999, Mehta was presented the “Lifetime Achievement Peace and Tolerance Award” of the United Nations. The Government of India honoured Mehta in 1966 with the Padma Bhushan and in 2001 with India’s second highest civilian award, the Padma Vibhushan. In September 2006 the Kennedy Center announced Mehta as one of the recipients of that year’s Kennedy Center Honors, presented on 2 December 2006. On 3 February 2007, Mehta was the recipient of the Second Annual Bridgebuilder Award at Loyola Marymount University. Mehta is an honorary citizen of Florence and Tel Aviv. He was made an honorary member of the Vienna State Opera in 1997. In 2001 he was bestowed the title of “Honorary Conductor” of the Vienna Philharmonic and in 2004 the Munich Philharmonic awarded him the same title, as did the Los Angeles Philharmonic and the Teatro del Maggio Musicale Fiorentino in 2006. At the end of his tenure with the Bavarian State Opera he was named Honorary Conductor of the Bavarian State Orchestra and Honorary Member of the Bavarian State Opera, and the Gesellschaft der Musikfreunde, Wien, appointed him honorary member in November 2007. On 1 March 2011, Mehta received the 2,434th star on the Hollywood Walk of Fame. On 2 October 2011 he received the Echo Klassik in Berlin, for his life’s work. On 6 September 2013, President of India Pranab Mukherjee awarded him the Tagore Award 2013 for his outstanding contribution towards cultural harmony.